The Nicky Winmar Carnival saw a stunning performance by the Royals District at Bendigo Bank Stadium on the 1st March. Despite fielding an inexperienced and undersized squad, the boys in blue donned the jumper proudly under the guidance of Head Coach, Jarrad Oakley-Nicholls, Assistant Coach, Matt Gray and Royals District Participation Officer, Corey Ranger. 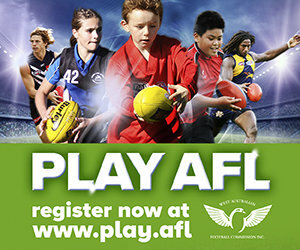 The Nicky Winmar Carnival is designed to draw Indigenous boys, aged 13 to 15, to junior community football and subsequently WAFL Development Squads. The Royals District side conquered a swathe of sides on its quest for the crown including Peel District and Swans Pilbara. The Royals District boys were on song early stitching up four matches by the narrowest of margins. The second half comeback specialists secured a semi-final berth against subsequent premiers Swans Metro after a sequence of spirited performances. 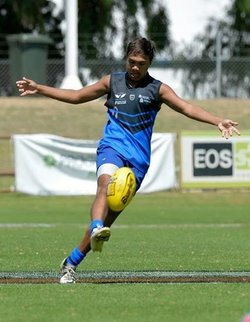 The cream of the Nicky Winmar Carnival squads will be selected to represent WA in the KickStart National Championships in Cairns, Queensland on the 8th to the 15th April. The Royals District is buoyant about the chances of the Royals District boys donning the black and gold in Cairns. The Royals District is indebted to the dedicated coaching staff and the sensational support of the primary and secondary schools who donated significant resources to make it a positive experience for all players. 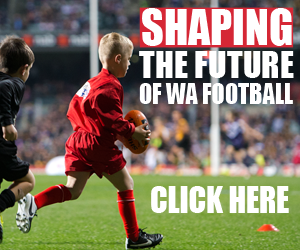 The Royals District is now setting their sights on the 2016 Nicky Winmar Carnival by developing a transition program designed to enhance pathways for Indigenous boys aged 12 to 14.